In our previous article we have already covered the southern portion of the Niagara Parkway from Fort Erie to Niagara Falls. A little more than halfway along the 56 km / 35 mile long Niagara Parkway and north of the Horseshoe Falls is the Whirlpool Rapids Bridge. More commonly called the Whirlpool Bridge, this arch bridge was opened in 1897 and now carries railway traffic and NEXUS priority cross-border vehicle traffic. Also located here is White Water Walk, a 305 metre (1000 foot) boardwalk with two observation areas that is accessed by a 70 m (230 foot) elevator and a 73 metre (240 foot) tunnel. It provides a close-up view of the Class 6 Whirlpool Rapids on the Niagara River as well as the 410 million year old rock layers of the Niagara Gorge. Up the road, the Whirlpool Aero Car allows visitors to cross the Whirlpool Rapids in an antique cable car that was built by a Spanish engineer in 1916. This open-air gondola has been crossing the rapids safely for almost 100 years. The next stop on the Niagara Parkway is the Whirlpool Public Golf Course which also features an attractive eatery, the Whirlpool Restaurant, with great golf course views and reasonable prices. Nature lovers will enjoy the Niagara Glen which features 4 kilometres (or 2.5 miles) of nature paths that wind through untouched Carolinian Forest past huge boulders that were created thousands of years ago as the Falls eroded. Natural attractions continue at the Botanical Gardens & School of Horticulture, a 40 hectare (99 acre) site that was established in 1936. The main attractions here are the perennial, rhododendron and azalea gardens as well as the renowned rose garden which features more than 2,400 roses. The Butterfly Conservatory is also located here and enchants visitors with more than 2,000 free flying tropical butterflies. The Floral Clock 2.5 km (1.6 miles) away is a unique timepiece that is surrounded by up to 16,000 carpet bedding plants that are changed twice a year. The tower behind the Floral Clock features almost every clock face design since 1950 with the exception of the 1981 design. Just north of where Highway 405 turns into the Queenston Lewiston Bridge and crosses the Niagara Gorge into New York State is the location of the Queenston Heights Restaurant and Park. 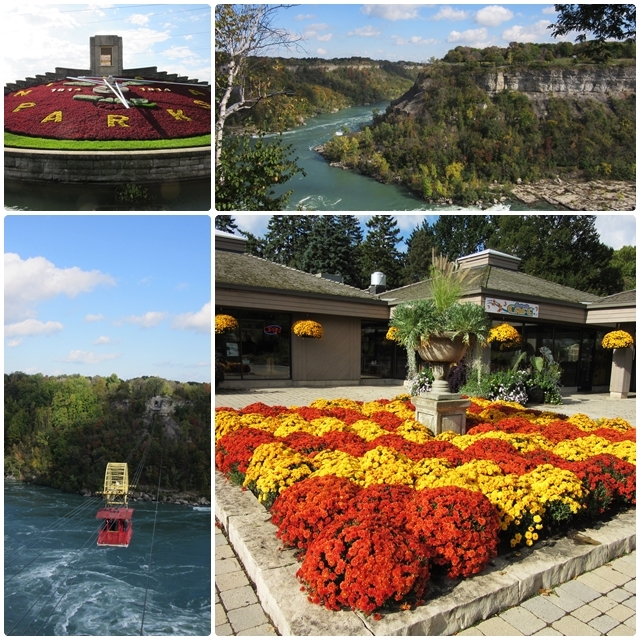 This attractive park is located high atop the Niagara Escarpment with wonderful views of the northern part of the Niagara Gorge. 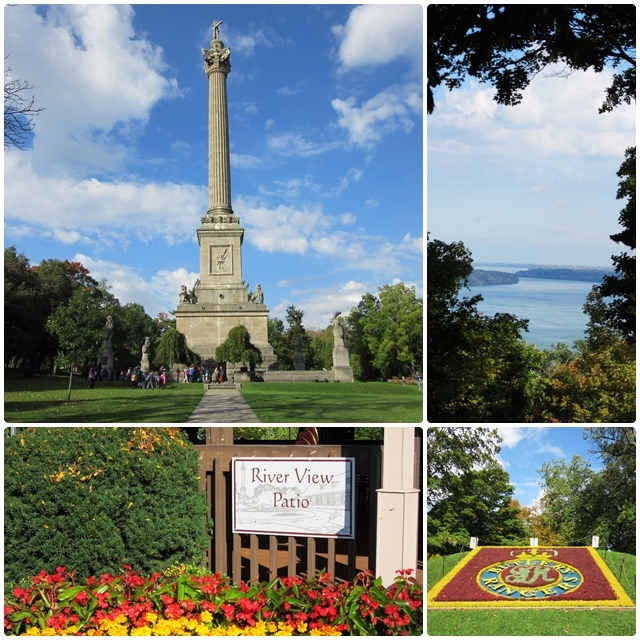 The highlights of this picturesque park include the Brock’s Monument, commemorating Major-General Sir Isaac Brock who was killed in the Battle of Queenston Heights during the War of 1812. A monument to Laura Secord, a heroine of the same war, is also located here. Visitors can enjoy a reasonably priced meal and the fantastic panorama of the Niagara River at the Queenston Heights Restaurant. Queenston is also the southern terminus of the Bruce Trail, an almost 900 km (560 miles) long hiking trail that follows the Niagara Escarpment from north of Niagara Falls to Tobermory on the Bruce Peninsula. Culture lovers will enjoy a stop at the Riverbrink Art Museum which is home to more than 1,400 pieces of Canadian art and artefacts. The Mackenzie Printery and Newspaper Museum showcases 500 years of printing technology inside the restored home of publisher, journalist and politician William Lyon Mackenzie who was a leader during the 1837 Upper Canada Rebellion. 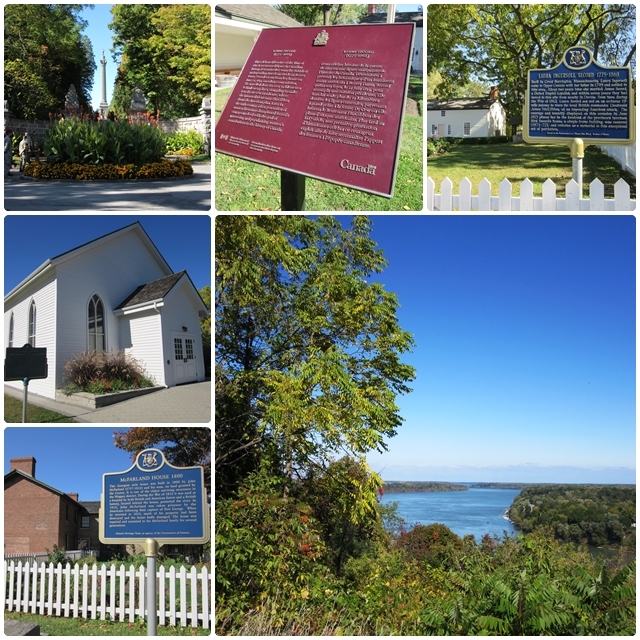 Another important historic figure was Laura Secord, whose homestead can be visited north of Queenston. At great personal risk, Laura Secord warned the British soldiers of an impending attack by the Americans during the War of 1812. Costumed interpreters bring history to light in this historic home, and Laura Secord chocolates, ice cream, refreshments and souvenirs are available in the gift shop. Another historic home on the Niagara Parkway is the McFarland House, the oldest property in the Niagara Parks system. This Georgian manor was built in 1800 by John McFarland, a widower who emigrated from Scotland in the 1790s. As a boat builder to King George III, he was granted more than 600 acres of land by the British Crown. This historic home is surrounded by beautiful parkland and can be visited in guided tours. It also features the McFarland House Conservatory Tea Room which makes for a very popular stop along the Niagara Parkway. Just minutes away, we reach Niagara-on-the-Lake, one of Ontario’s most historic and picturesque towns and an important community in the Niagara Region’s wine country. Home to the renowned Shaw Festival, this quaint town attracts countless visitors throughout the year. If the drive has made you hungry, a great place to end the drive on the Niagara Parkway is the Niagara-on-the-Lake Golf Club, North America’s oldest golf course which was founded in 1875. 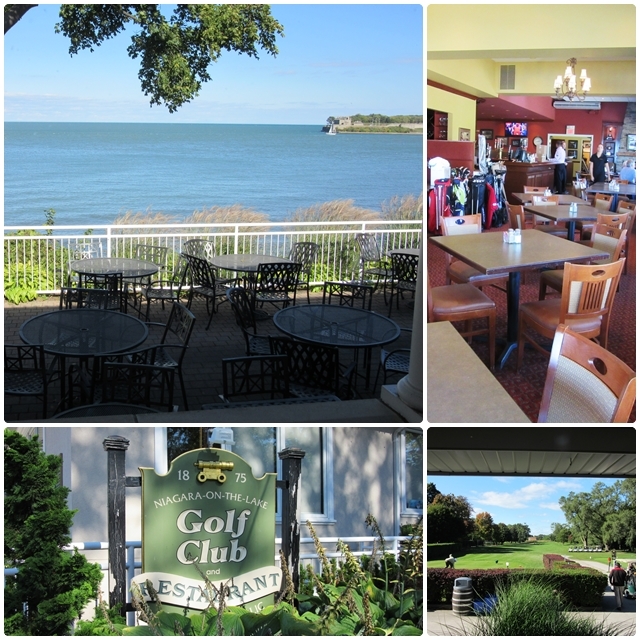 This picturesque nine-hole club boasts a reasonably priced restaurant with a great terrace overlooking the mouth of the Niagara River where it flows into Lake Ontario. The views from the patio are amazing. Regardless of the time of year, the scenic drive from Fort Erie to Niagara Falls and Niagara-on-the-Lake always makes for a great outing.